Since its introduction to the reef aquarium hobby, the Walt Disney acropora has become a household name and a must-have piece for acropora collectors. 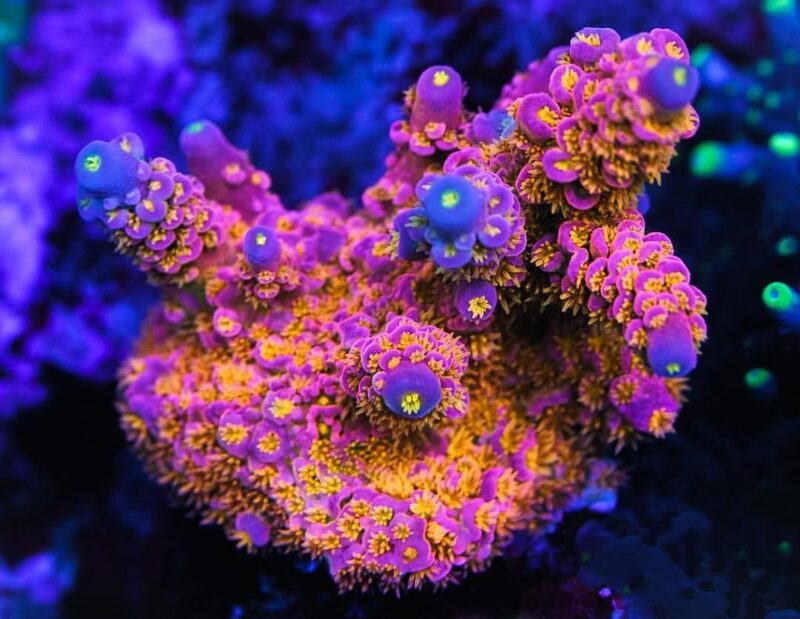 The semi-recent surge of multi-colored rainbow tenuis that seems to have started with the Walt Disney, has captivated a large portion of aquarists to keeping this specific species of coral, despite its challenges. Keeping Acropora happy and healthy over a long period of time requires keeping near perfect water parameters as consistently as possible, the WD is no exception to this rule. While my personal experience has suggested that they seem to be a bit hardier than many other species of acropora, slight changes in their environment may cause you to lose that brilliant coloration we all strive to bring out in our coral. In 2015, we posted a similar article featuring this beautiful coral that can be found here: https://aquanerd.com/2015/10/featured-coral-of-the-week-10262015-walt-disney-acropora.html. At that time, frag prices were ranging from $800 to $1000 – In 2018, the going rate for a WD frag went for around $150. 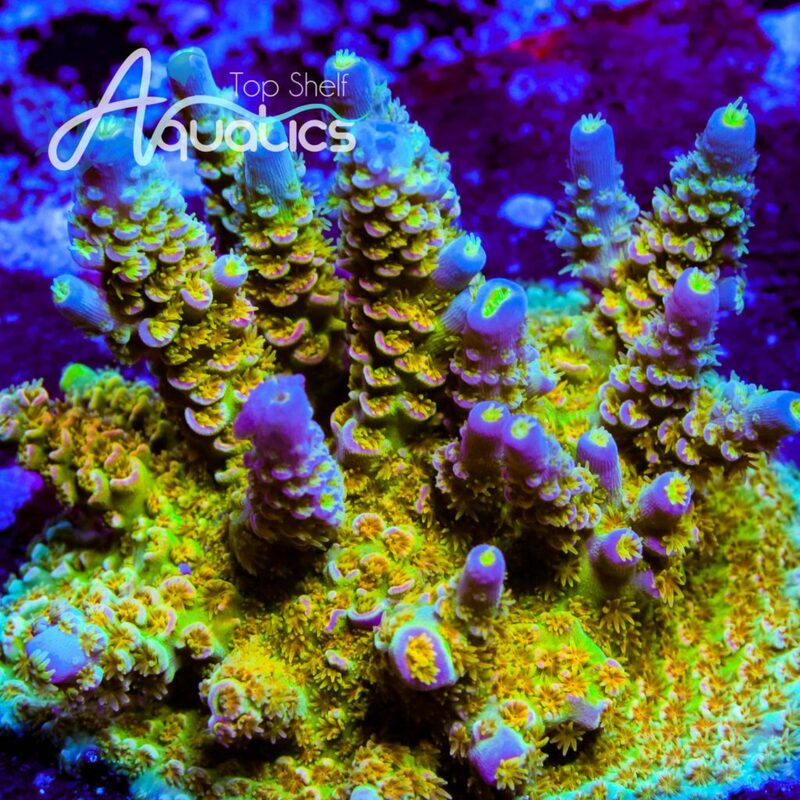 If the you are still looking to get your hands on this beautiful acropora, the widespread availability has drawn down prices and made the coral much more affordable for anyone still looking to add this gem of a coral to their aquarium. Orange Storm Clownfish now available from Sea & Reef Aquaculture!